If you read this blog frequently, you must know by now that I love Japanese nail art and decoden. So for this month's nail inspiration how about combining the two? 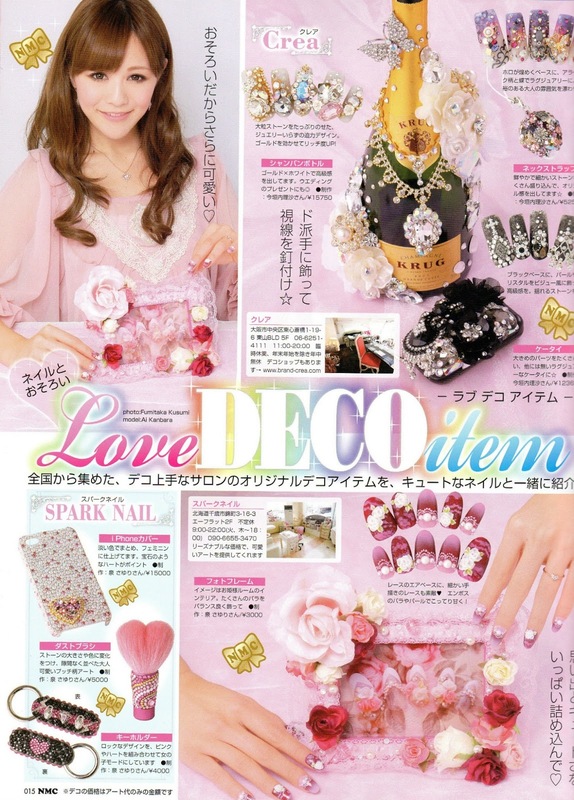 Here is nail art inspired by deco items. The images are from Nail Max Collections. Handpainted decoden phone case and matching nails. So cute and yummy!!! Or if you wish, you can match your nails to your favourite deco photo frame. Airbrush nail art and matching chopsticks. So pretty!!! Here are a few more ideas. Match your nails to your accessories, your perfume bottle, your camera or even your champagne bottle! 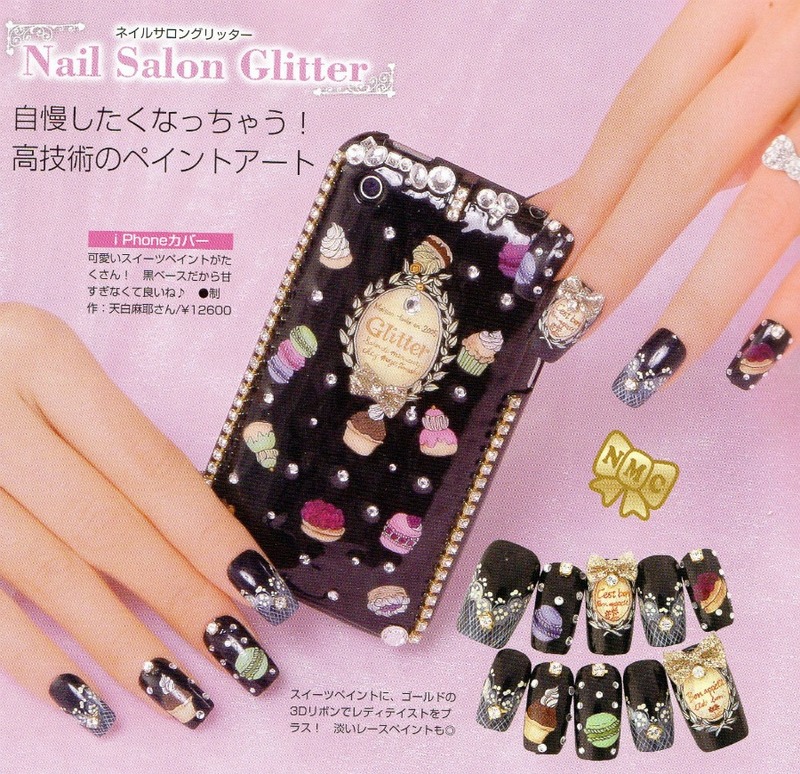 When it comes to deco and nail art, the only limit is your imagination. 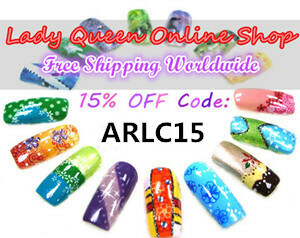 There are so many different methods, techniques and products that you can use that the possibilities are endless. What do you think of this idea dear readers? Do you find it inspiring or too much? 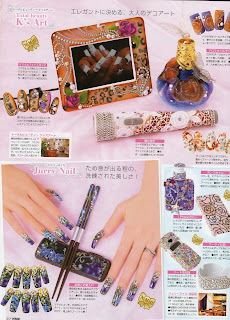 For the record I am stating again that these images are from Nail Max Collections and are just scanned by me. You can click on each image to see a bigger version. 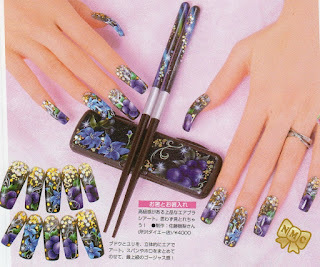 I absolutely love Japanese nail art... 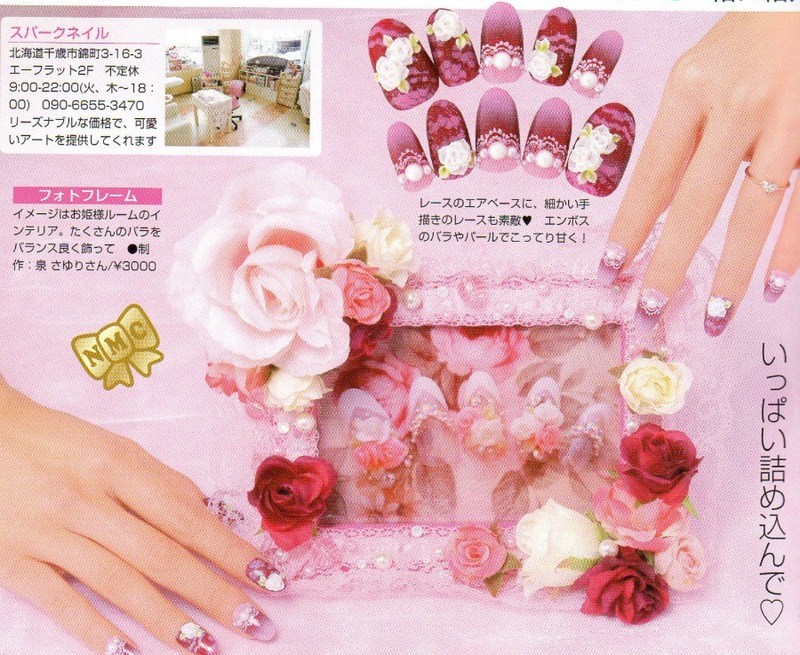 I already have my small collection of magazines for inspiration ;) Japanese do nail art like nobody else and I admire their originality. 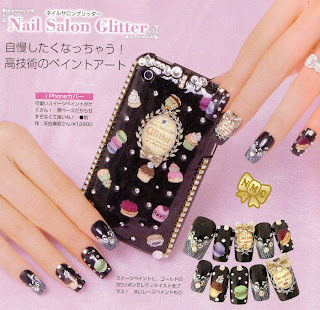 Handpainted decoden phone case and matching nails, that is so awesome!!! So gorgeous to look at!